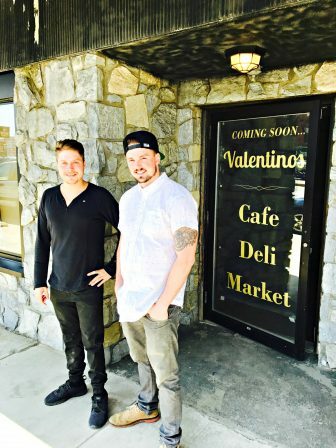 Luke DeWolfe, left, and Joe Stake plan to open Valentino's in the heart of Shrewsbury Street. Valentino’s Press and Pour, which plans to open in May [Editor’s note: They did open, on May 8.] at 154 Shrewsbury St. (the former long-time home of dessert and coffee bar Cafe Dolce), will feature a full bar and cafe, lottery, tobacco products, and a variety of to-go items including coffee, ready-made sandwiches and desserts. “This street is still growing and there’s nothing that caters to the masses,” said Joe Stake, a partner who will manage the restaurant and tend bar. “You have to go to different places if you want different things. The street is very segmented. 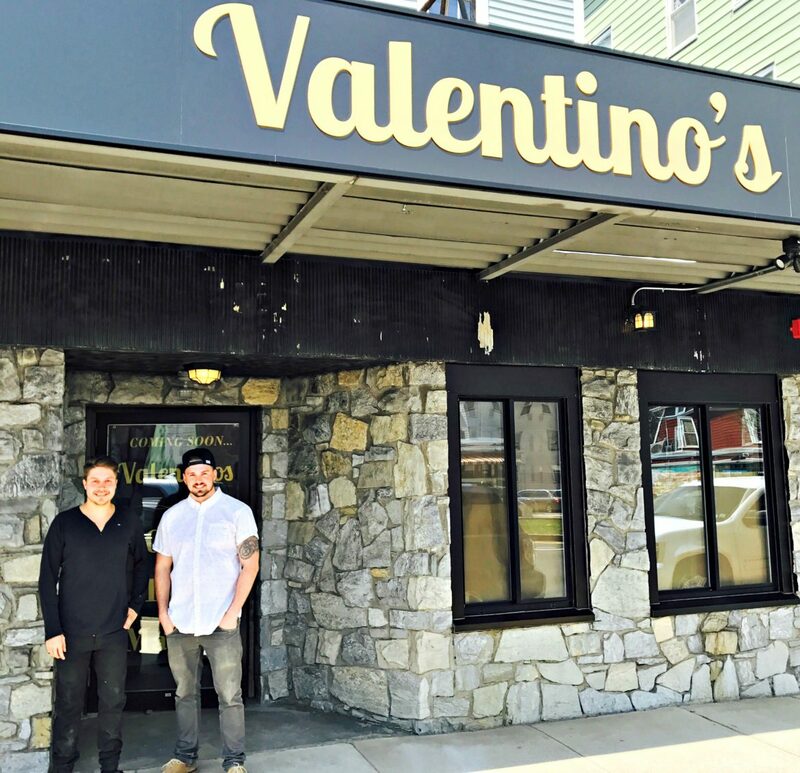 Valentino’s plans an upscale and upbeat vibe … with scratch tickets and Bloody Mary’s too. Stake’s cousin, Luke DeWolfe, bought the building in 2015. He renovated the attached three-decker and originally planned only to be a landlord for the cafe space. Now he’s staring down a mid-May soft opening of his own restaurant, with a full-scale grand opening planned for some time in June. DeWolfe said the name Valentino’s is derived from the famous Italian motorcycle road racer Valentino Rossi. DeWolfe was in Valencia, Spain, for a motorcycle race when inspiration struck while he sat in an Italian cafe watching a pre-race interview with Rossi. “It’s really where the whole idea for Valentino’s started. Just by sitting in this little cafe-panini shop in Spain,” DeWolfe said. 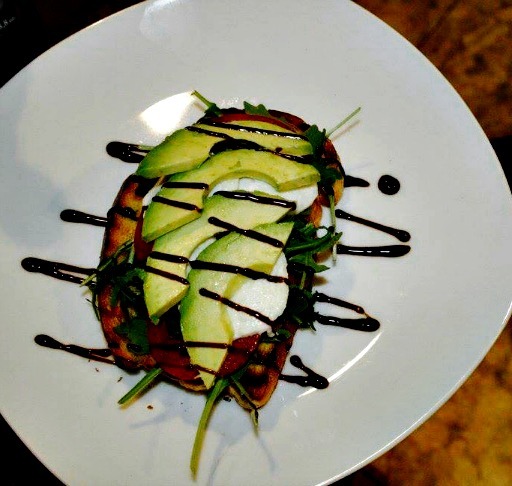 The Valentino’s menu will feature open-faced sandwiches like the “Fluff & Tella” — a marshmallow fluff and Nutella sandwich with chocolate shavings and pecans — and toasted paninis like “The Valentino,” with ham, salami, American cheese and pepperoncini. 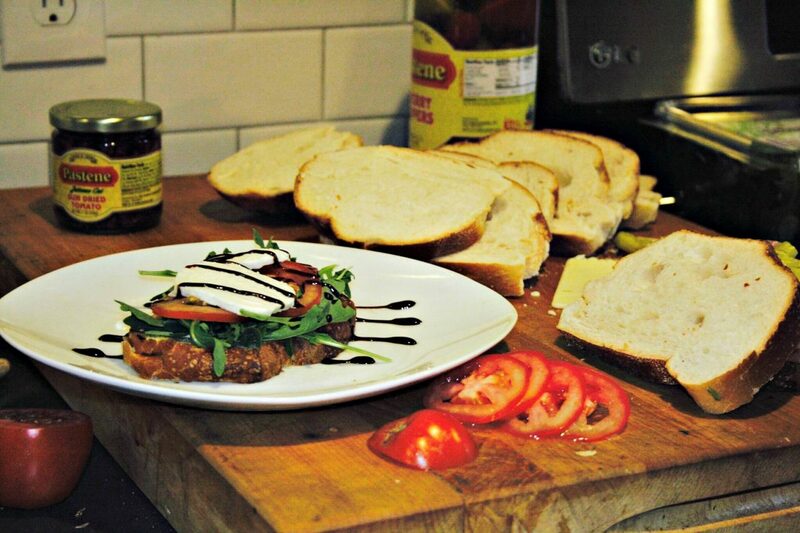 The cafe also plans a “build-your-own” toast and panini option. Stake, 24, is originally from Worcester and grew up in Boylston, where he still resides. He has spent the past two years working at Funky Murphy’s on Shrewsbury Street, where he served as a manager for the past year. A graduate of Tahanto Regional High School, Stake graduated from an accelerated program at Johnson & Wales University with a bachelor’s degree in business management. Stake went on to Clark University where he earned a master’s degree in business management with a concentration in finance. Before working at Funky Murphy’s, Stake was a bartender for three years at his family-owned Stake’s Pub on Pleasant Street. DeWolfe and Stake outside 154 Shrewsbury St.
DeWolfe, 30, is also from Boylston and a Tahanto graduate. He works in a management position with his family’s contracting company, DeWolfe Contracting, and earned a degree in Finance from Georgia Southern University. Stake’s vast experience in the industry at a young age made him a perfect match for Valentino’s. At 1,600 square feet and a legal occupancy of 50 people, the seating space is limited inside Valentino’s, which, according to the owners, encouraged them to take on the “to-go” cafe-style for a continuous customer flow of folks dropping in to buy a newspaper, cigarettes, lottery scratch tickets or a coffee. To augment the six-seat bar, 12-seat lounge area and 16-seat dining area, the owners plan an outdoor patio on the sidewalk that could seat up to 12. The restaurant expects to offer free wi-fi. 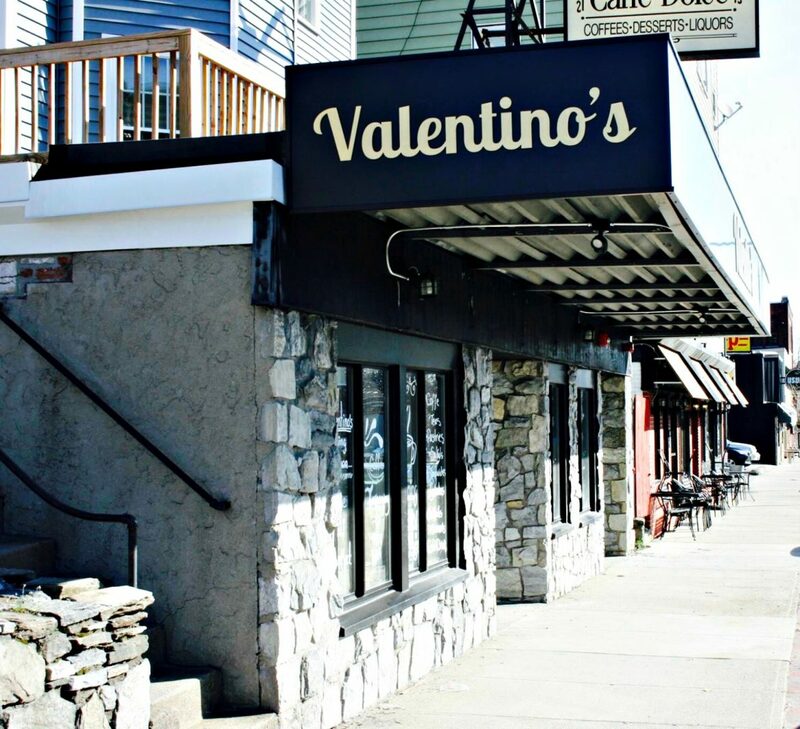 Although Valentino’s is close to the Parkway Restaurant and Bar, 148 Shrewsbury St., and Boulevard Diner, 155 Shrewsbury St. — both breakfast staples on Restaurant Row — Stake said Valentino’s will rely on the appeal of outdoor seating, light breakfast and to-go options, and it’s “Build Your Own Bloody Mary” menu to draw in its customers. “We’ll have good cocktails, play upbeat music, outdoor seating, and our customers will be able to choose whatever they want and however they want their Bloody Mary to be,” Stake said. Stake said Valentino’s will concoct its own original Bloody Mary mix, as well as bacon-smokehouse and spicy jalapeno varieties. Additionally, customers will be able to select anything they want from a yet-to-be-created menu that would include skewers with bacon, jalapenos and other vegetables, and out-of-the-ordinary additions like salami, pepperoncini, and capicola. The light breakfast options include toast sandwiches — a slice of thick-cut Italian bread toasted in a panini press with several topping options — fruit cup granola, and breakfast bars. 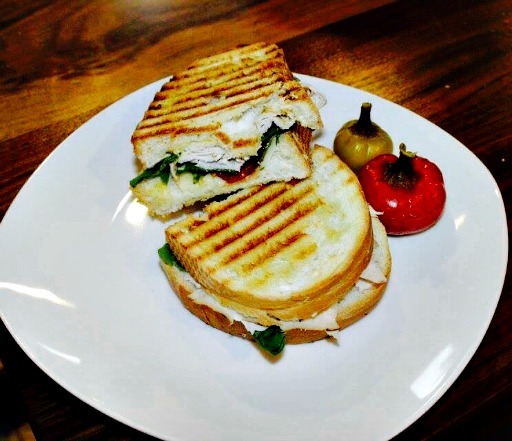 Regular menu items range from $3 for a simple toast with butter, cream cheese or jam, to $7.50 for one of Valentino’s signature paninis. “Our idea and vision is to have more of a social atmosphere in this place,” DeWolfe said. “It’s somewhere you can come not just for food, but maybe for meetings and hang out inside and outside with some friends. We’re trying to encourage the idea of this being a social place where you can run into people you know. “Most importantly, we want people to come in to meet their friends and enjoy some of the unique things we can offer — hot paninis, cold sandwiches, and a variety of toasts that no one else is offering,” DeWolfe added. Valentino’s is in the early stages of assembling a staff. The restaurant expects to initially hire about 10 employees. Planned hours of operation for Valentino’s are 6 a.m. to 9 p.m., Monday-Wednesday; 6 a.m. to 11 p.m., Thursday and Friday; 7 a.m. to 11 p.m., Saturday; and 7 a.m. to 2 p.m., Sunday.